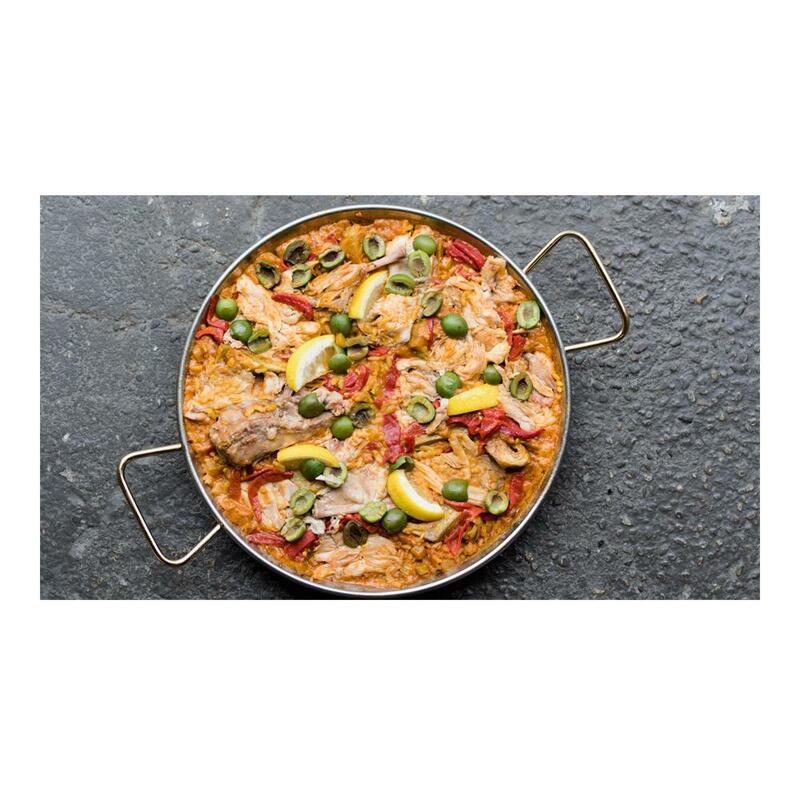 Rabbit meat is tender, lean, and juicy, with a flavor somewhat similar to chicken, but richer. 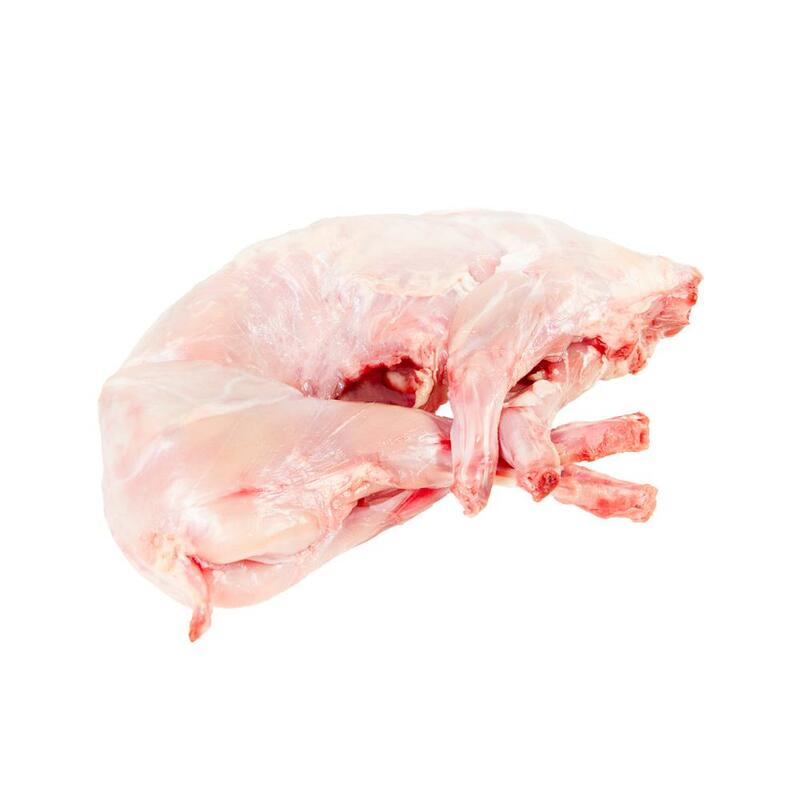 Whole rabbits (aka fryers) are a great choice because they offer meat for both fast and slow cooking applications. Each rabbit can be separated (see Recipes & Tips for info) into a total of six different cuts: two small front legs, two large, meaty back legs, and two saddle halves (each of which includes a small loin). This allows you to cook lighter, faster cooking dishes with the saddle meat while using the richer leg cuts for delicious stews and braises. Store rabbit fryers in your freezer until you're ready to use them. The saddle meat is quite tender and can be cooked using most high heat, fast methods. You can grill it whole, or cut it into medallions & strips for sautéing. Use saddle meat in salads, sandwiches, or serve it on a plate with a sauce, starch, and veggies. The legs offer a richer rabbit flavor than the saddle, but are better suited to slow cooking methods like roasting and particularly stewing/braising. Their meat can also be ground for use in meatballs, pasta sauces, and rabbit sausages. Rabbit meat pairs well with onions, bacon, thyme and most other herbs, mustard, juniper berries, fruit (particularly berries and citrus), red wine, cabbage, balsamic vinegar, curry spices, and mushrooms. I placed my first order last week and will be a repeat customer. The rabbits are meaty, clean, with the liver placed in a separate bag. Rabbit liver is mild and tasty when fried in butter and garlic, and the bones will make an excellent addition to my stock.